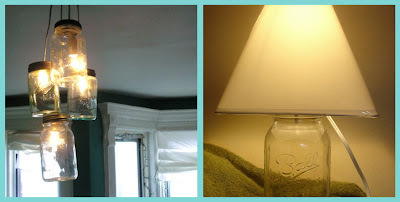 Crazy Domestic: Mason Jar Mania! Who doesn't love mason jars? 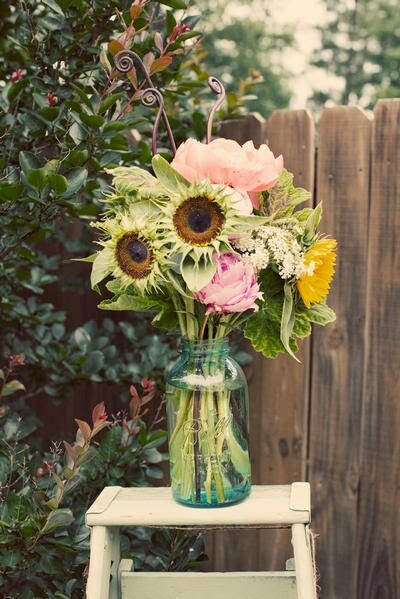 They are chic yet rustic, simple yet versatile and oh so affordable! 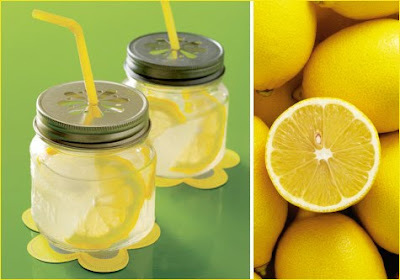 I am amazed at how many cute ideas there are out there for these wonder jars! Here are some of my favorite ideas! 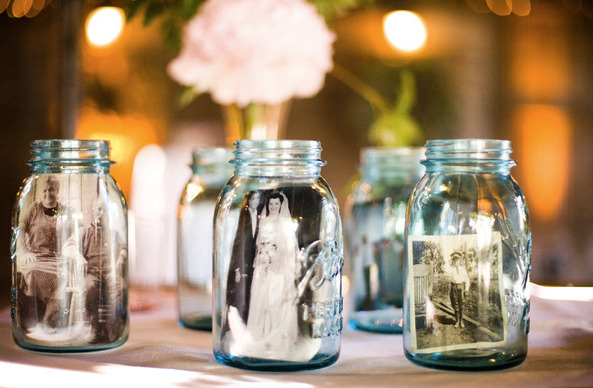 The old blue mason jars are my favorite! I saw someone make their own by mixing mod podge and neon blue food coloring and painting it on to a clear jar. I thought the idea was GENIUS! It turned out looking so good! I can't remember where I saw it though! What's your favorite use for mason jars? oh wow, i love that last picture idea!!! Brilliant! Using all different sizes of Mason jars as luminaries is my favorite way to use them, except of course, for holding blackberry jam! thanks for the great ideas! Im obsessed with mason jars, but Im usually filling mine with all our garden veggies! 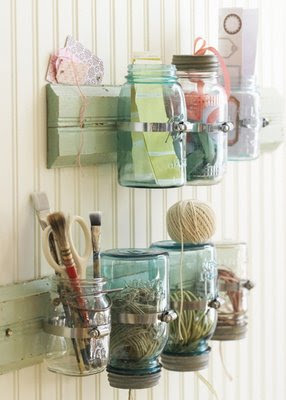 Love, love the jars with straws in the punched lids - must figure a cute way to do this for myself!! I love those daisy lids!!! I love Mason Jars. I once made a light filled with buttons out of a mason jar. It was very cute. I love the daisy lids! LOVE this post. 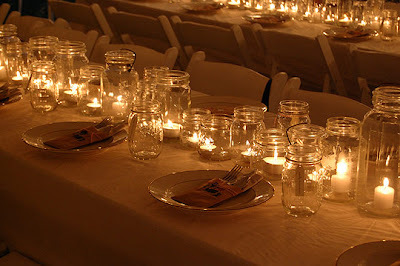 I am a huge fan of Mason jars, and use them all over the house for lots of different reasons. I also came across another site listing a way to get the jars blue. A site called Bridal Buzz..
Love the post about the Mason jars...such great ideas! 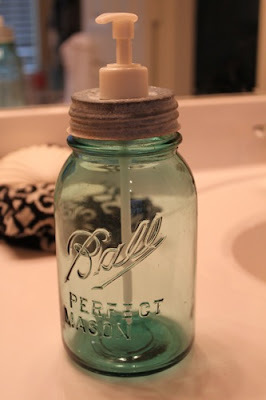 You can also punch holes in the tops of the lids and use them as luminaries that don't blow out on windy nights too! Thanks so much for the link for the jar lamps!! Wow, I love, love all your ideas! I just organized all of my nuts, bolts, nails etc...in mason jars. Turned out really cute....even if it is hardware!